As a pet lover, you know your pet makes you happy. But you may be surprised to hear that science agrees that those warm feelings can lift your mood and even lower your blood pressure! Pet therapy is a catch-all term for incorporating animals in all sorts of therapeutic ways. One example you may be familiar with is therapy dogs. These dogs have participated in a special therapy dog training program to assess their disposition; teach them a variety of commands; and otherwise prepare them for visiting nursing homes, hospitals, schools, and other public places. Hospitals often create anxiety for the sick and their families, and therapy dogs offer a perfect opportunity to forget those problems for a few minutes and pet the soft fur. It’s hard not to feel better when you interact with a well-behaved dog. The Mayo Clinic explains how visits with therapy dogs work: “Imagine you're in the hospital. Your doctor mentions the hospital's animal-assisted therapy program and asks if you'd be interested. You say yes, and your doctor arranges for someone to tell you more about the program. Soon after that, an assistance dog and its handler visit your hospital room. They stay for 10 or 15 minutes. You're invited to pet the dog and ask the handler questions. Of course, therapy dogs aren’t limited to hospitals and nursing homes. Some of them help children learn to read. As Therapy Dogs International explains, “The main objective of this program is to provide a relaxed and ‘dog-friendly’ atmosphere, which allows students to practice the skill of reading. Many of the children chosen for this program have difficulties reading and as a result have developed self-esteem issues. They are often self-conscious when reading aloud in front of other classmates. 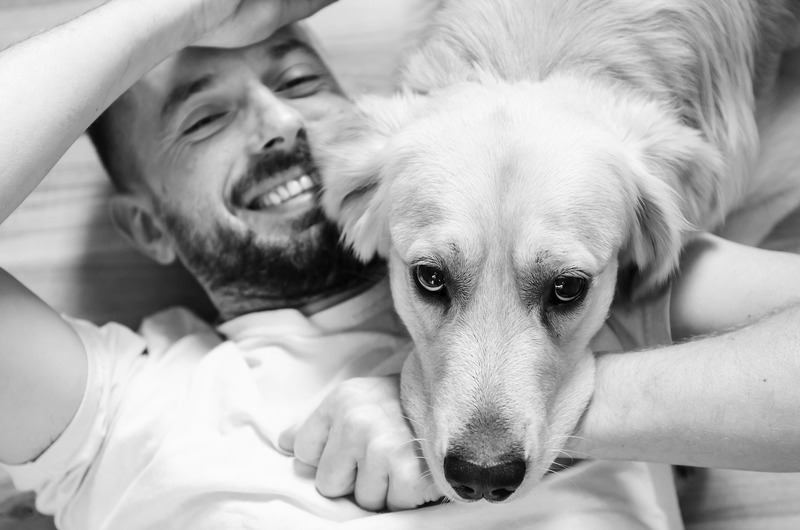 As a pet owner, you know your pets put a smile on your face, but you may not realize the deeper health benefits. Dogs promote exercise, which is great physically and mentally, while both dogs and cats offer the benefits of petting, which reduces anxiety. Add the mental benefits of pet companions with the physical benefits - lower blood pressure, and less risk of heart attack - and it’s a winning combination! Why not give your pet an extra belly rub today?! And if you have any questions regarding your beloved furry friends, as always, feel free to contact us!